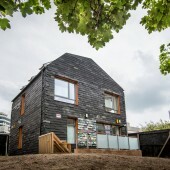 The Brighton Waste House is the first permanent public building in Europe to be constructed from material the people threw away. It is a ‘live’ ongoing research project and permanent new design workshop focused on enabling open discussion and understanding of sustainable development. 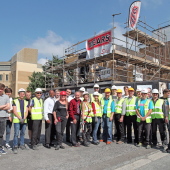 It is situated on campus at The University of Brighton’s College for Arts & Humanities at Grand Parade. 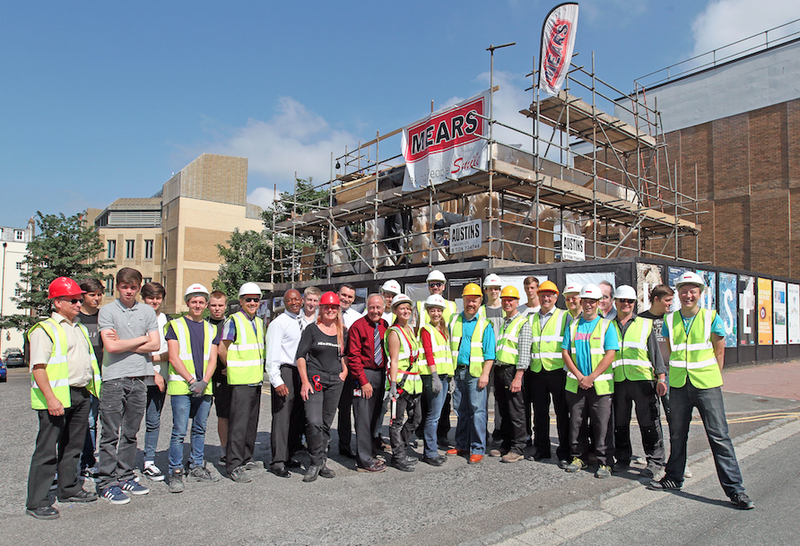 Designed by Senior Lecturer and Architect Duncan Baker-Brown, together with undergraduate students, this project was built by apprentices from The Mears Group, students from City College Brighton & Hove and The Faculty of Arts as well as volunteers. 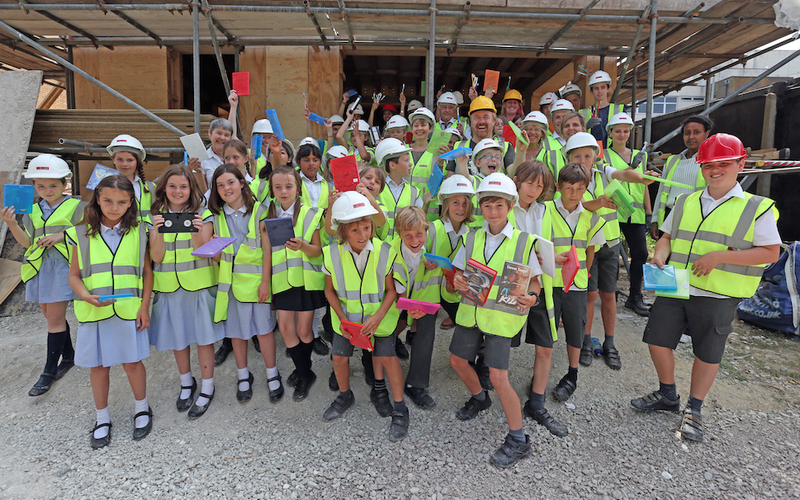 In all over 350 students helped with the project. 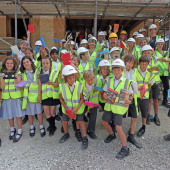 During the 12 month construction period the Waste House site was visited by more than 750 primary and secondary school pupils, many of which brought their old tooth brushes to help fill the wall cavities. Every pupil attended a presentation about the themes and issues relating to the project, i.e. sustainable design, locally sourced green materials v’s building with waste, and of course issues relating to circular metabolisms and in particular the Circular Economy. 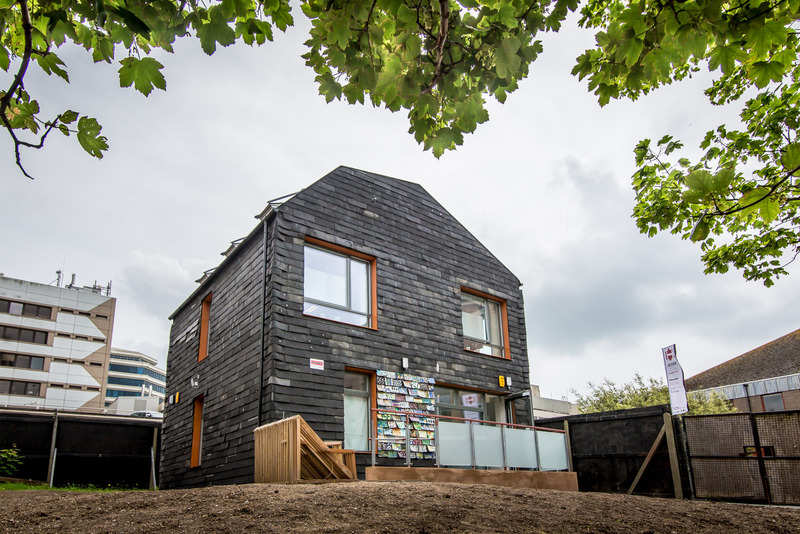 Now an open design research studio, run in partnership with our colleagues delivering the Sustainable Design MA on campus, the Brighton Waste House is be available to schools, colleges and community groups for ‘green’ themed events and any interested parties can join in with sustainable design workshops and events curated by designers, artists, makers, builders, scientists writers-in-residence, whoever is interested.